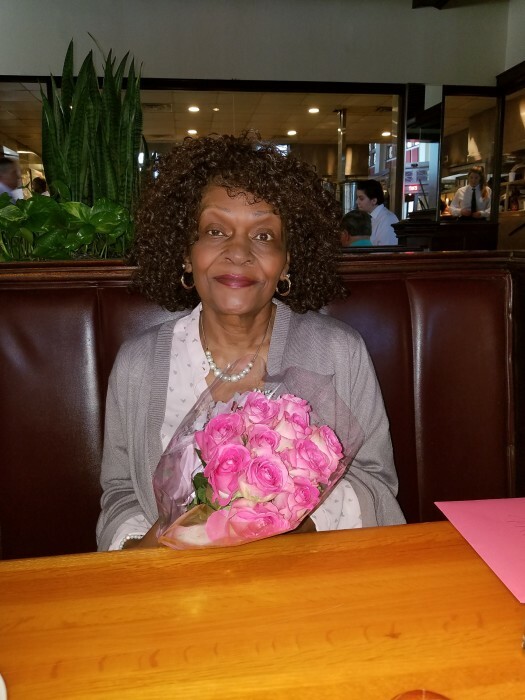 Sandra Marie Lucas, 62, Florence, SC passed away on August 27, 2018 10pm at McLeod Regional Medical Center. Memorial services will be held 10am, Friday, August 31, 2018 at New Ebenezer Baptist Church, Florence, SC. Visitation will be held 6pm to 9pm, August 30, 2018 at 2440 Hoffmeyer Road, Florence, SC. Parents name: Ruby Lee Henneghen and David Walter Lucas, Sr. (Both deceased). High School and Year of Graduation: Duquesne High 1975. College: Completed one year at Florence Darlington Technical College 2004-2005- Medical Bill and Coding. Career: Retired DuPont, position technician operator. Church: New Ebenezer Baptist Church where she served as a member and volunteer. She preceded in death by: Ruby Lee Henneghen Lucas (Mother), David Walter Lucas, Sr. (Father) and Browley Alfonzo Lucas, Sr. (Brother). Father of Child: Claude E. Jones from Dillon, SC. Child: Dakotah Shari Jones in Columbia, SC. David W. Lucas, Jr. lives in Florence,SC. Lillie Geri Lucas- Schleicher (James) in Florence,SC. Eula Peguese (Tyrone) in Florence,SC. Annie Dell Green (Albert) in Baltimore,MD. Diane Burrell (Robert) in Baltimore,MD. Wanda Himbry (Ronald) in Baltimore,MD. Connie Lucas-Kemp (Tyrone) in Duquesne,PA. Host of nieces, nephews, aunts, uncles, other relatives and friends. Special Thanks: A huge thank you to the community at Crescent Villas. From the bottom of my heart, I want to thank you all of being there for my Mom, whether it was watching movies, bingo or a night out on the terrace, you guys really made her feel at home!!! You all were considered her family, you showered love all over her. Words cannot Express the gratitude of continuously being a support system through the battle in which she fought, cancer. Thank you Ms. Bert! Memorial Service will be held at New Ebenezer Baptist Church, 307 S Ravenel St, Florence, SC 29506 at 10 AM on Friday, August 31, 2018.